Join Ron Clifford and the rest of the Symposium team for an extensive and personalized photography symposium in the Arctic. Photography opportunities from the ship, on land and in the Zodiaks give us unprecedented opportunities to experience the Arctic in a remarkably intimate way. On bard will be daily briefings, presentations and guidance offered to help you capture amazing landscape and wildlife photographs. Spitsbergen and the Svalbard archipelago offer a tremendous wildlife and birdlife experience, as well as a fascinating lesson in glaciology. First used as a whaling base in the 17th and 18th centuries, the islands are now celebrated as a breeding ground for many seabirds, along with marine mammals and the elusive polar bear. Our expedition ships are perfectly suited for remote polar exploration. With their high ice classification, we are able to push further to the north, along the edge of the ice pack. 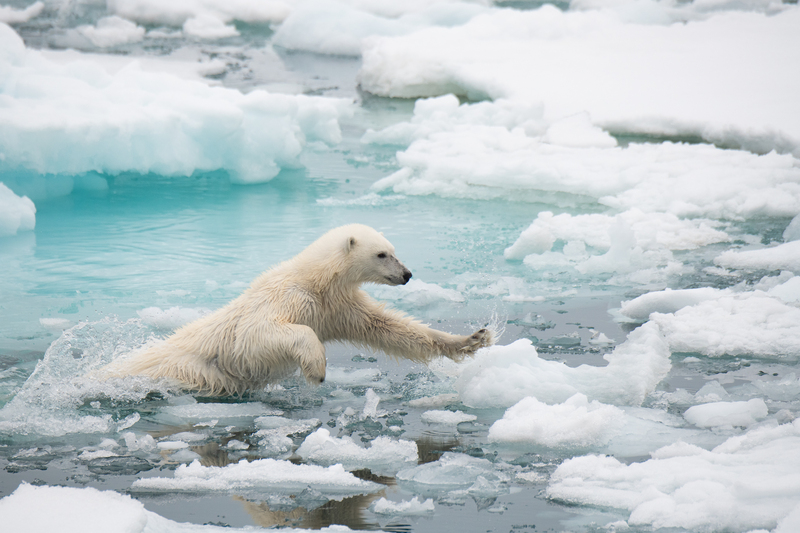 It is here we frequently encounter the icon of the Arctic – the polar bear – hunting for seals and other protein sources to sustain them through the Arctic summer. Throughout our journey we enjoy a comprehensive series of presentations by polar experts, providing an excellent background to the expedition.